According to Mike Garafolo of the NFL Network, the Cleveland Browns have acquired Odell Beckham Jr. in a trade with the New York Giants. The Cleveland Browns have acquired wide receiver Odell Beckham Jr. in a trade with the New York Giants, according to Mike Garafolo of the NFL Network. Per Garafolo, the Browns will send their first and third-round picks, as well as safety Jabrill Peppers to New York in exchange for the 3-time Pro Bowl selection. 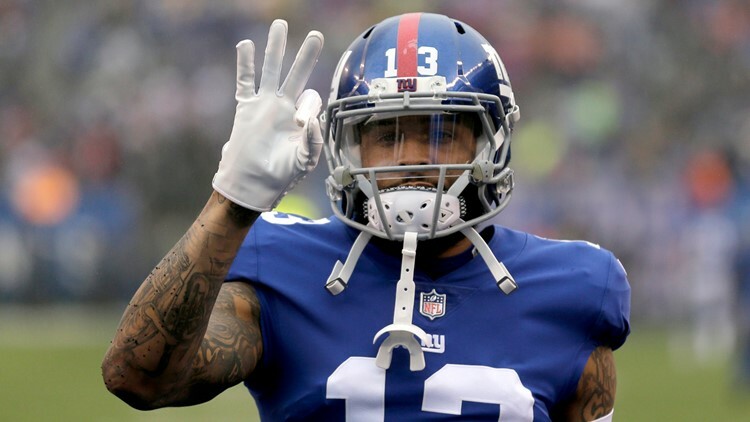 Considered one of the most dynamic receivers in football, the 26-year-old Beckham has spent the first five seasons of his career with the Giants, totaling 390 receptions, 5,476 yards and 44 touchdowns. In 2018, the 5-foot-11, 198-pound receiver recorded 77 receptions for 1,052 yards and 6 touchdowns in 12 games. In coming to Cleveland, Beckham reunites with fellow wide receiver Jarvis Landry, who he played alongside during his college career at LSU. He also joins an offense that will now be considered one of the most potent in all of football, featuring quarterback Baker Mayfield, running back Nick Chubb, Landry and newly signed running back Kareem Hunt. RELATED: Reaction: Twitter erupts after Browns trade for Pro Bowl receiver Odell Beckham Jr. Shortly after news of the trade broke, Mayfield took Instagram to share a picture of himself working out alongside Beckham and Landry last offseason. The acquiring of Beckham will go down as one of the biggest blockbuster trades in Browns history. The 2-time second-team All-Pro and the 2014 Offensive Rookie of the Year is one of the biggest celebrities in not just football, but all of sports. The New Orleans native arrives in Cleveland with five years and $77 million remaining on the contract extension he signed a year ago. Despite trading its No. 17 overall pick and third-round selection, the Browns still possess eight picks in the upcoming draft. In trading Peppers, Cleveland parts ways with its starting strong safety and one of its three first-round picks from the 2017 draft. The Browns' trade with the Giants marks their second of this offseason, after acquiring pass-rusher Olivier Vernon in exchange for guard Kevin Zeitler and a swap of third and fourth-round picks. The deal cannot be made official until Wednesday, when the NFL's new league year officially begins.